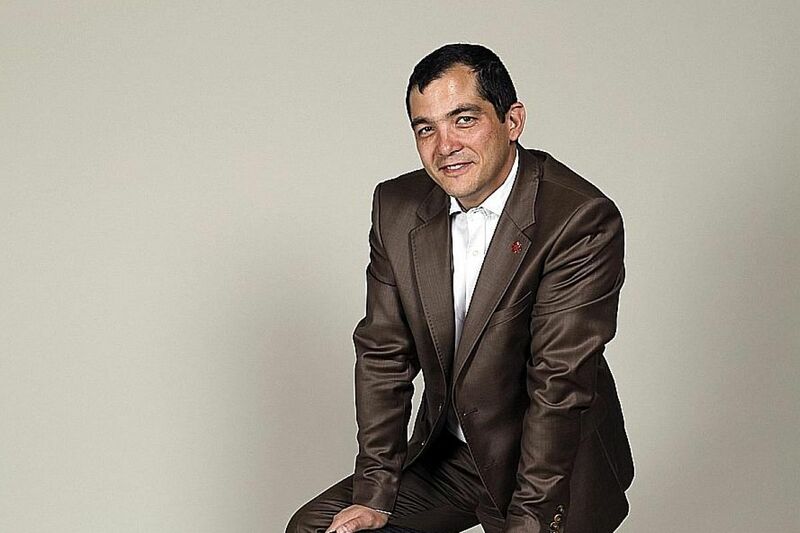 WHO: Mr Michel Huguenin, 46, Chief Executive of events company Planitwiss Asia. Favourite destination: Lausanne, Switzerland. After spending my childhood in West Africa, I arrived in Lausanne to study when I was 19 years old. Adapting to life there was quite challenging at first, but I quickly grew to enjoy the vibrant nightlife, beautiful vineyards, mountains, life on the lake and good food. It has a multicultural atmosphere and a rich student population residing in academic institutions such as the Ecole Hoteliere de Lausanne, International Institute of Management and Swiss Federal Institute of Technology. I love that every part of the city is unique and offers an interesting juxtaposition between old, traditional buildings and modern architecture. It is a city full of contrasts. On one side, you get cobbled streets with steep winding alleys filled with shops and restaurants, each leading to another square or viewing platform across the multi-levelled city. But travel just a few metro stops away to Ouchy, a port area located south of the city, and you find yourself on the shores of Lake Geneva with France's snow-capped Evian mountains framing the postcard-perfect scene. Summer in Lausanne - with outdoor activities, concerts, festivals and markets, where you can feel how happy people are to be out in the sun and with a glass of wine on a terrace - is what inspired me to work in the events sector. From Singapore, fly to Zurich, then take a two-to 21/2-hour train ride to Lausanne from the Zurich Main Station. Or fly from Zurich to Geneva, which takes 50 minutes, and board a train to Lausanne from there, which takes 30 to 50 minutes. Flights to Geneva are also available via Paris, Munich, Amsterdam and Dubai. • Stay three to four days, visit the surrounding towns and enjoy the lake views. The best time to visit Lausanne is between June and September, when temperatures are pleasant. • Lausanne, and Switzerland in general, is very safe. There are also many similarities between Switzerland and Singapore. The main differences are the weather, cuisine and cost of public transport, which is more expensive in Switzerland. • Unlike Singapore, most of the shops in Switzerland, including convenience stores and supermarkets, are closed by 7pm daily, except on Sundays, when they are closed so employees can spend time with their loved ones. This is really different from lively Singapore, so plan your shopping well. • Because most of the shops are closed on Sundays, you can see many people heading to the lake for a picnic or to play sports. Thanks to the vibrant student population, the city is full of energy. • The city is served by an efficient network of metro, buses, trolley buses and ferries, as well as trains connecting it to Geneva, other parts of Switzerland and neighbouring countries. The cathedral watch at the Cathedral of Notre Dame of Lausanne is a uniquely Lausanne tradition. Since 1405, the city has maintained a lookout in the cathedral's bell tower. The lookout announces the time by yelling the hour from 10pm to 1am, a practice originally meant to help keep the population safe and provide a warning in case of fire. The famous English comedian Charlie Chaplin was a resident of Lausanne. He spent his last 25 years here and his former home was converted into a museum called Chaplin's World (www.chaplinsworld.com/en), which showcases his family life and career. Opened last year, it is in the village of Vevey, about 15 minutes from Lausanne by train. La Tour de Gourze (www.gourze.ch), a fondue restaurant with a beautiful terrace, is a hidden gem. It is the place to go for a great view of Lake Geneva and to watch some spectacular sunsets. In my opinion, the best restaurant in Lausanne is the illustrious Hotel de Ville in Crissier (restaurantcrissier.com). It is one of the best restaurants in the world and was awarded three Michelin stars this year. It serves modern French food and a meal will cost 172 to 390 Swiss francs (S$235 to S$530) a person. The amazing service, food and wine are worth it. No experience is complete without a visit to Lausanne's legendary Cafe Romand (www.cafe-romand.ch), a traditional Swiss brasserie and local favourite. You can try authentic local dishes such as saucisse aux choux et papet Vaudois (smoked pork sausage with leek, cream and potatoes), which is a regional dish. What would Lausanne and Switzerland be without raclette and fondue? Head to Pinte Besson (www.pinte-besson.com), the oldest pub in Lausanne, for its famously creamy fondue, which is incredibly smooth and served piping-hot. We usually eat our fondue and raclette with potatoes and olives, paired with a glass of Swiss red wine. Expect to pay between 20 and 30 Swiss francs a dish. For breakfast, go to Chez Tony (www.confiserietony.ch) in Rue de Bourg, a small bakery in the heart of Lausanne. It is part of the local experience so you can meet all kinds of people there. With Lake Geneva as a backdrop, Lausanne has an abundance of water sports and outdoor activities. Cycling is also popular among residents, who enjoy taking scenic journeys in the mountains, vineyards and along the lake shores. The Paleo Festival de Nyon (yeah.paleo.ch) in July is one of Europe's biggest music festivals, with more than 280 concerts and more than 230,000 attendees. Nyon is located halfway between Lausanne and Geneva, about a 30-minute drive away. The Montreux Jazz Festival (www.montreuxjazz.com) is the world's second-largest jazz festival. It takes place in late June and early July. While in Lausanne, take a side trip to Gruyeres and Broc, located about 40 minutes away by car. 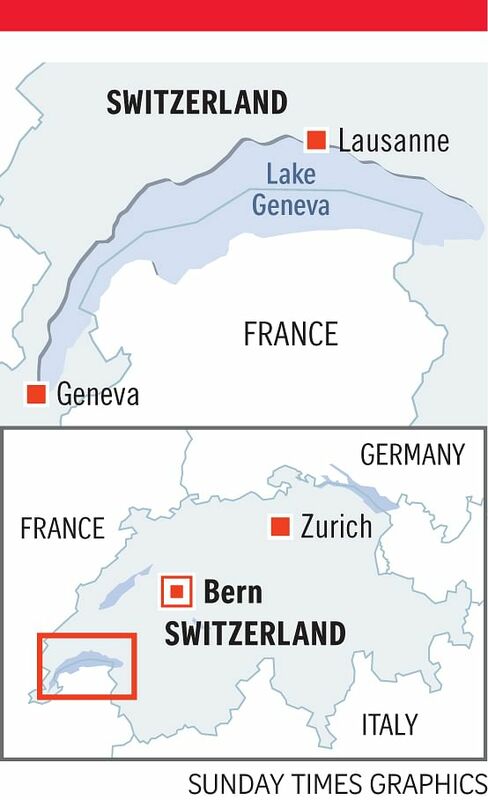 You can taste a wide range of Swiss chocolates and cheeses in these two places. Gruyeres is a beautiful walled mediaeval town with cobbled streets and its own castle. In Broc, visit the Maison Cailler Swiss Chocolate factory (cailler.ch/fr/maison-cailler/la-chocolaterie-suisse/), a beautiful building with amazing scenery. I also recommend heading to the small mediaeval town of Lutry, which is 4km east of Lausanne, for some relaxation. You can shop for bargain items at Brocante du Lutry, a three-day antique and flea market held on the first weekend of June along the waterfront promenade, or participate in the Fete des Vendanges (Harvest Festival), a lively event in September that attracts families and tourists to the plaza for food, wine and entertainment. Meet the locals at the Lausanne market, browse antiques or enjoy local delicacies in a relaxed atmosphere on the Place de la Riponne. It takes over Lausanne's pedestrianised streets every Wednesday and Saturday from 8am to 2.30pm. There are live band performances, stands selling everything from organic products and seasonal fruit and vegetables to local beers. Be sure to buy some chocolates as a souvenir. The Ouchy area of Lausanne offers incredible views of the lake and the Alps. There is a major cluster of hotels and restaurants around the port, and Chateau d'Ouchy (www.chateaudouchy.ch/uk/index.php), a former castle renovated into a hotel, is one of the highlights. It is conveniently located across the street from the Ouchy metro station and is near the port. A night's stay costs 270 to 440 Swiss francs. If you want to splurge, the Beau-Rivage Palace (www.brp.ch/en/home) is one of the grandest hotels in Switzerland. My favourite cafe, the Cafe Beau-Rivage, is here - it offers breathtaking views of the majestic French Alps. The late French fashion icon Coco Chanel lived there in her later years. Rooms start at 480 Swiss francs. You can also check out the Lausanne Tourism website (www.lausanne-tourisme.ch) for a list of bed-and-breakfasts, guestrooms and apartments.